Once it's ready, send it to TITOPE MAIL ADDRESS or TITOPE CEO/MD as attachment and wait for approval. (Your ad might not be approved if it's deceptive or illegal or morally questionable in some way). After your ad is approved, we will provide you with information about how to make payment. All design should be submitted two weeks before publication. All advert materials should be saved in JPEG, GIF, PNG or BMP format. All adverts are subject to legal, vetting, prior to publication. We are not responsible for the content(s) of other sites linked from our site. We reserve the right to accept, reject and/or cancel any advert at our sole discretion. 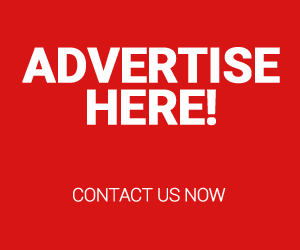 Adverts are accepted on the condition that the advertiser agrees to indemnify TITOPE BLOG, its officers and its business partners against any expense or loss by reason of any claims arising from publishing advert(s) by advertiser online.